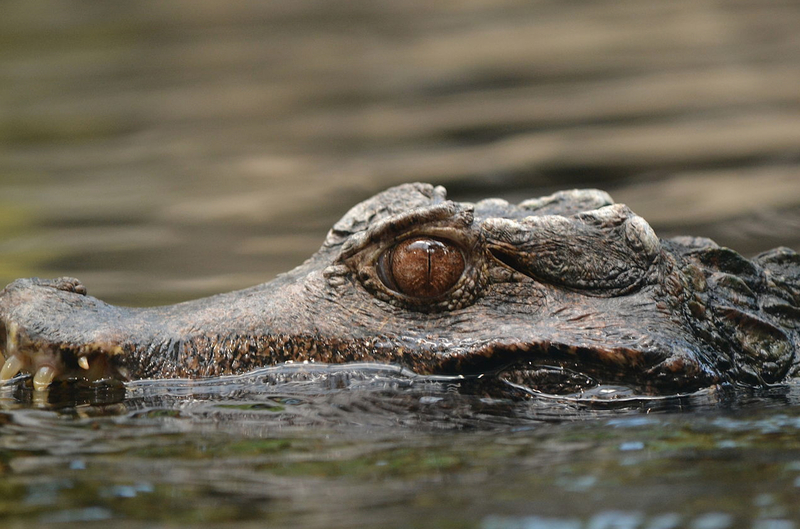 Are Caimans Evil? No, They are Caimans! I have only owned one caiman and although I do not regret owning him, I do not think I’ll own another. 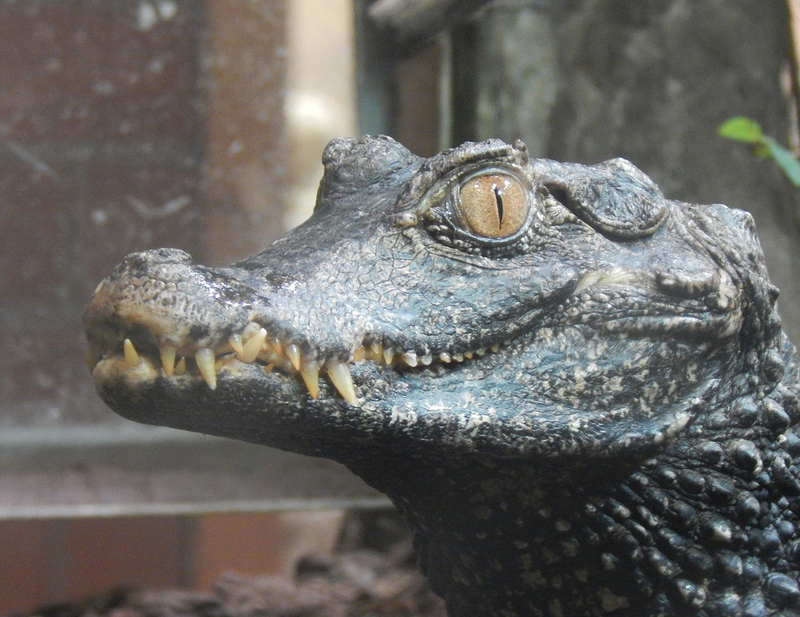 His name was Satan and technically, he was a Cuvier’s Dwarf Caiman, with the scientific name – paleosuchus palpebrosus. He grew more vicious every day and taught himself how to do it. He did not need to learn it from mom and dad; this came from the many millions of years of genetic material he was born with. Satan was not evil, he was a caiman, doing nothing more than caimans, alligators, and crocodiles do… act mean, vicious, and intimidating. They are far from any typical household pet. I have read (on the Internet, so it must be true) that it is “in theory” possible to tame a caiman. I have only owned one caiman, so maybe I am not an expert, but in my amateur, layperson opinion – I think it would be easier to bring Elvis back to life and ask him to start a world tour. So reviewing caimans as a possible pet is somewhat difficult. First, I am not sure about the legality of owning a caiman anymore. And frankly, neither are several states in our United States! So, if you are looking into getting a caiman, you need to check very carefully into the state and local laws where you live. Sometimes it is legal to purchase a caiman, but illegal to own one – and visa versa. It can get very confusing and end with you facing a stiff fine. When I got my caiman, they were legal to buy in Rhode Island and I had no clue whether they were legal to keep in Connecticut; I didn’t even think about it back then. After he grew to about three feet (from one, in around two years) – I was able to sell him back to the same pet store, thank God. 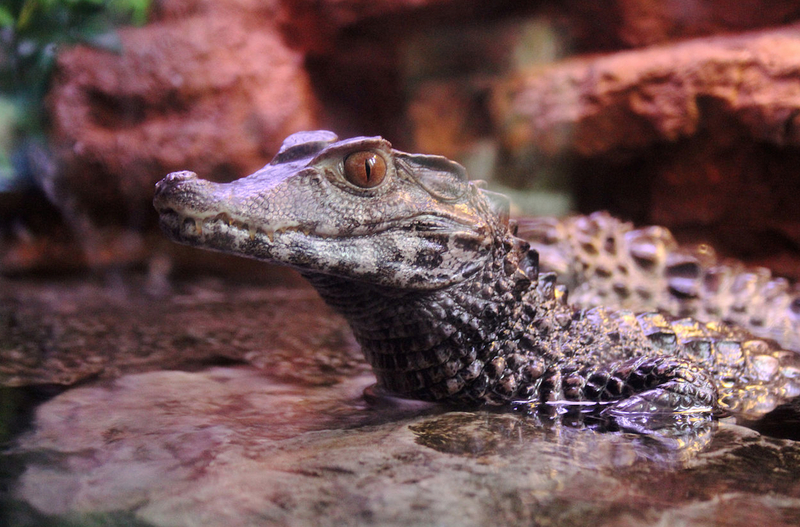 A full grown Cuvier’s Dwarf Caiman can grow up to about five feet long and I will tell anyone that animal would seriously injure any size human if not handled professionally! My advice if you have small children (okay, any children) is do NOT get a caiman. These animals are too tempting and the risk that something will happen is too great. Caimans of any size can do a lot of damage when they bite. I have said in other reviews children come first. Do not get any pet that poses any risk to a child. Parenting 101. Caimans are fascinating animals however. It is extraordinary to have a pre-historic (dinosaur) living with you. These animals have survived for (okay, I’m not exactly sure, but we are talking crocodile family so in the 80 million year range!) 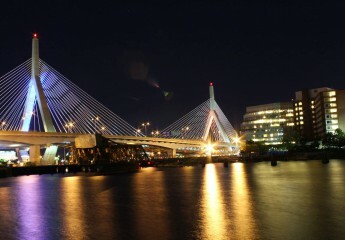 a very long time, through virtually every type of living condition imaginable. They ingest stones into their gizzard that allows them to digest their live food (for me it was mostly sun fish and frogs), which they swallow completely when they can, so you have to make stones available. Caimans eat frequently, well I suppose for caimans, I fed Satan two to three times a week. This meant his terrarium needed cleaning regularly. There are smart ways to clean caiman terrariums. After covering the caiman with a dark moist towel (use lukewarm water) slowly empty the aquarium into a bathtub that has about four inches of water in it. If the caiman is less than three feet long, this should suffice. Better yet, use a bathtub that has a Plexigas sliding door for the shower, and you’ll have something that is escape proof. Maybe! However, be prepared for the worst; have someone else who can help with you and have a back up plan. The idea was to leave Satan uninjured and to stress him out as little as possible. The way back into the terrarium is a little bit trickier, but it works. This time, again cover him with the towel and when he is nice and relaxed (the dark towel will do this) simply grab him behind his front legs and place him back into the terrarium. Grab him firmly, but do not squeeze and wear gloves if you need to, at least until you have gained some confidence. Satan was kept in a twenty-gallon terrarium, with stones and water. The room he was in was about fifteen by twenty, a bedroom, and when anyone opened the bedroom door, Satan immediately began hissing. It started out very slow and very intermittent. As you approached his home, it grew louder and the hissing became angrier – he was letting you know that he was ready to hurt you if you had plans to come too close. And he did not stop there; as soon as anyone got close enough, he’d strike as though there was no glass stopping him. Gradually, he realized this was futile. If you have the right personality for a caiman and are willing to care for it, it can make for a great exotic pet. If you create a safe environment for it and for you and anyone around you, including other pets, all should go smoothly. If not, you will regret the experience, it really is that simple. Do your homework, research the law regarding caimans, and best of luck! ← GERMAN SHEPHERDS, Best Dogs in the World!